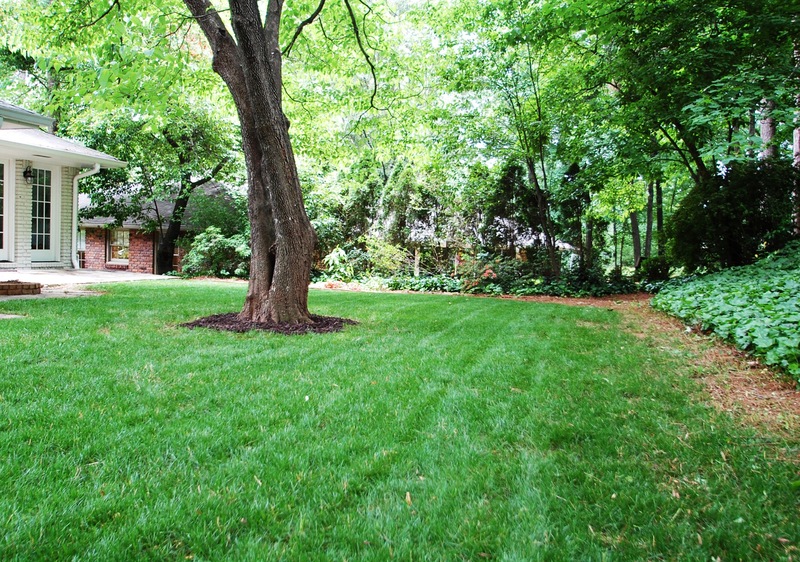 In our front yard we have plenty of sun and are able to grow Zoysia grass which is thick and wonderful. 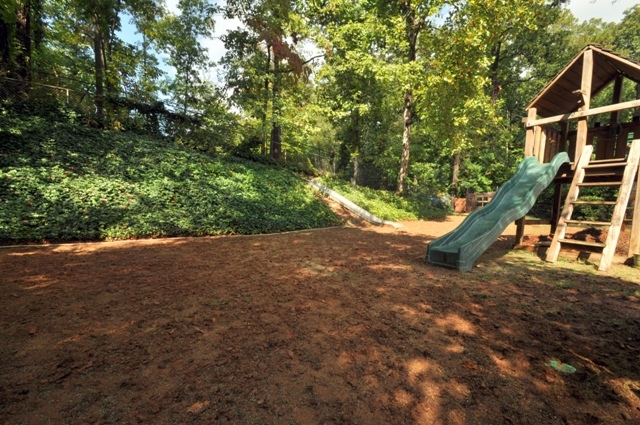 Our back yard is pretty shady with some areas of full sun. Since most of the back yard gets less than 4 hours of sun we are not able to grow Zoysia. Instead we are pretty much stuck with Fescue. Don’t get me wrong, Fescue is a beautiful grass but it takes a bit more care to keep up. 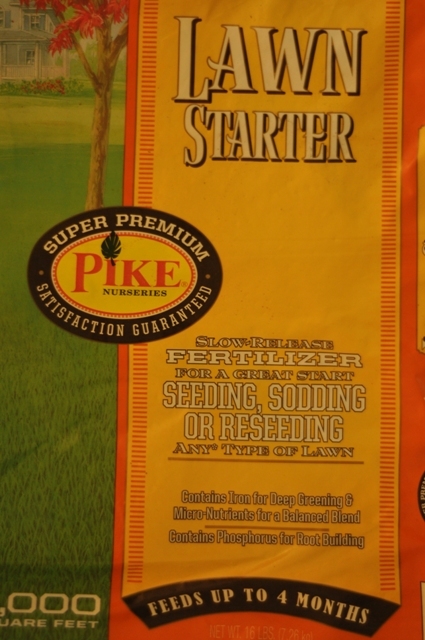 The first thing I did was spread out the Pike Lawn Starter across my whole back yard. I rented an aerator from Ace Hardware ($50/4 hrs) and with this I killed two birds with one stone. While aerating the dirt, I also worked the lawn starter into the soil which will ultimately help my new grass grow. After majorly disturbing the ground, I used my spreader to lay my grass seed. 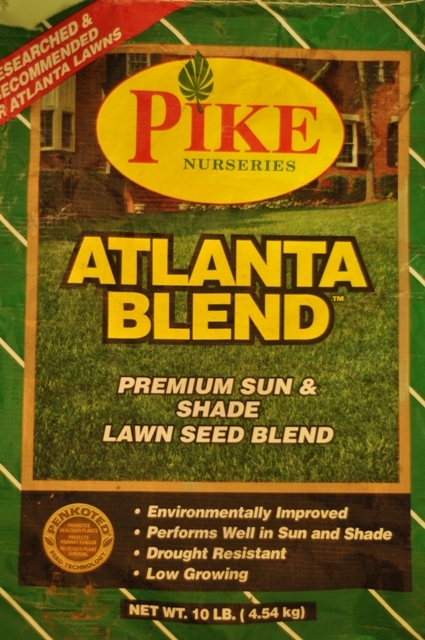 I used the Atlanta Blend from Pikes for most of the lawn because it thrives in both sun and shade. 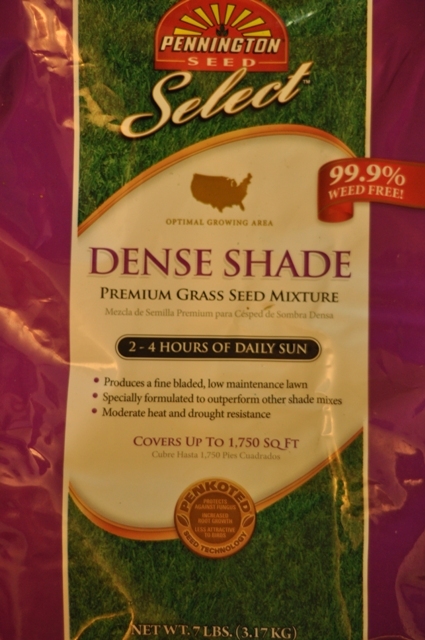 For the shadiest part of my lawn I used a dense shade mixture from Pennington Seed. The last part and certainly one of the most important ingredients in the process is water. This has always been a struggle for me because we don’t have an irrigation system installed and I don’t have time to run the sprinkler as much as it needs to be done in order to be effective. So, I went to Lowes and bought this nifty timer that is programmable to ensure your lawn gets the much needed water throughout the day. In addition I got a couple of sprinkler heads that surprisingly cover the lawn perfectly. This is by far the most effort I’ve put into growing grass in the back yard so I am really hoping it will do the trick. Today is the first day of Fall, we got a soaking rain last night, and the weather looks perfect for growing grass. I’ll let you know how it goes.